Beautiful Raku pendant 1" wide 2" in length. 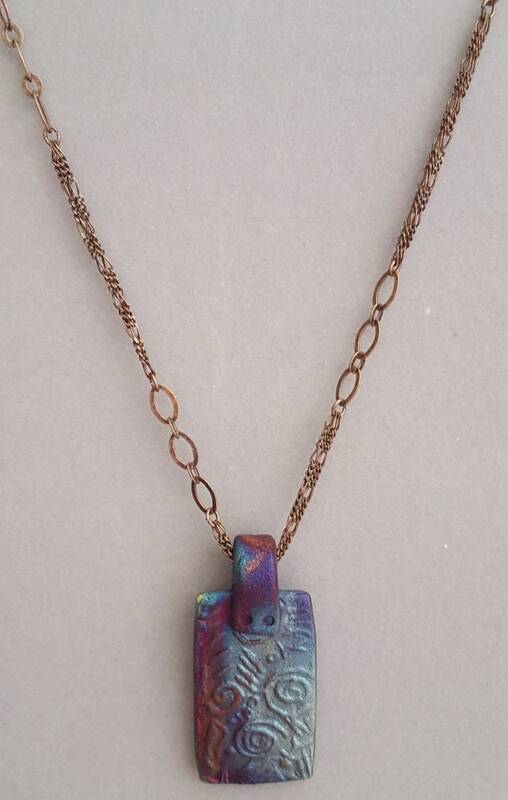 Copper chain 24" with lovely copper toggle clasp. Each piece of Raku is slightly different due to firing process.